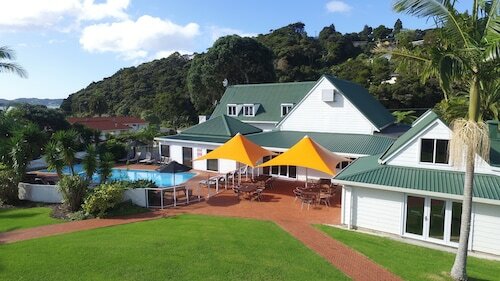 This family-friendly Paihia hotel is located on the waterfront, within a 5-minute walk of Paihia Wharf and Paihia Beach. Waitangi Treaty Grounds is 1.5 mi (2.4 km) away. 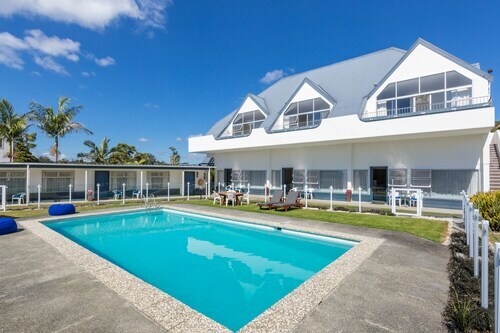 Situated near the beach, this luxury hotel is 0.1 mi (0.2 km) from Paihia Beach and 2.1 mi (3.4 km) from Waitangi Treaty Grounds. Paihia Wharf and Waitangi Golf Club are also within 3 mi (5 km). Offering direct access to the beach, this Paihia motel is within a 10-minute walk of Paihia Wharf and Paihia Beach. Waitangi Treaty Grounds and Waitangi Golf Club are also within 3 mi (5 km). 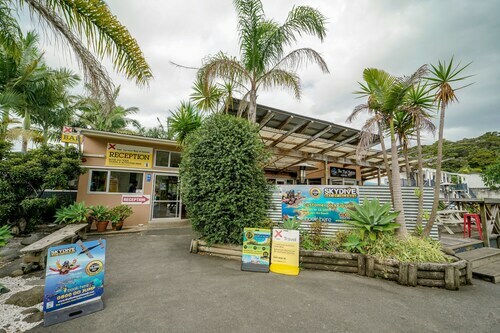 This family-friendly Paihia motel is located by the sea, within 1 mi (2 km) of Paihia Beach and Paihia Wharf. Waitangi Treaty Grounds is 2.4 mi (3.9 km) away. 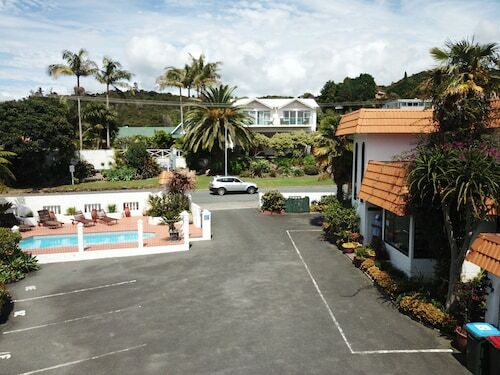 Situated in Paihia, this motel is 0.2 mi (0.2 km) from Paihia Beach and 2.1 mi (3.4 km) from Waitangi Treaty Grounds. Paihia Wharf and Waitangi Golf Club are also within 3 mi (5 km). 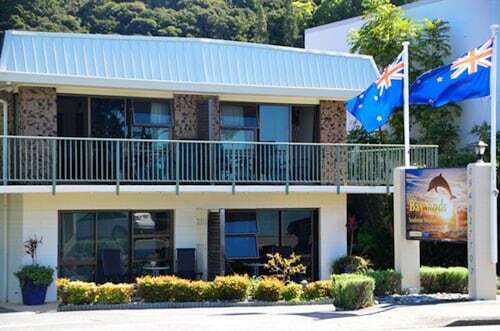 Located in the heart of Paihia, this motel is 0.1 mi (0.1 km) from Paihia Beach and 2 mi (3.3 km) from Waitangi Treaty Grounds. Paihia Wharf and Waitangi Golf Club are also within 3 mi (5 km). 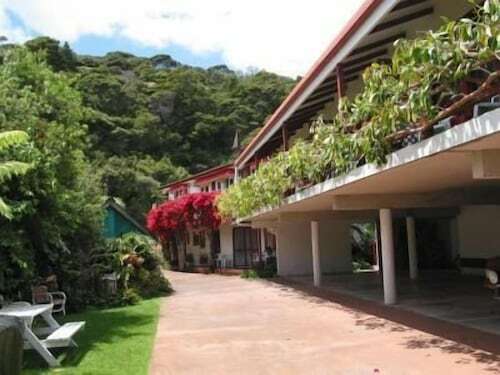 Situated near the beach, this hostel is 0.1 mi (0.2 km) from Paihia Beach and 2 mi (3.2 km) from Waitangi Treaty Grounds. Paihia Wharf and Waitangi Golf Club are also within 3 mi (5 km). 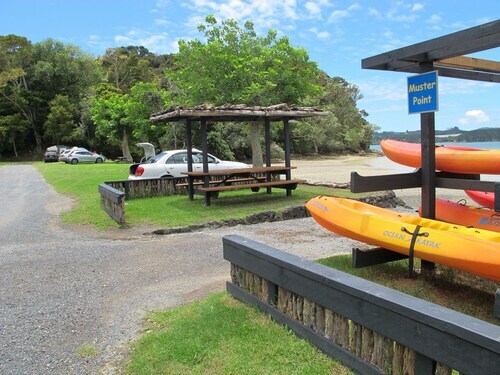 Situated near the bay, this campground is within 3 mi (5 km) of Paihia Beach, Paihia Wharf, and Bay of Islands Marina. Waitangi Treaty Grounds and Waitangi Golf Club are also within 6 mi (10 km). 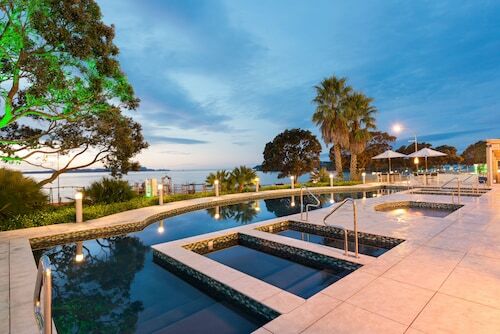 Located in the heart of Paihia, this luxury resort is within a 15-minute walk of Paihia Wharf and Paihia Beach. Waitangi Treaty Grounds and Waitangi Golf Club are also within 2 mi (3 km). 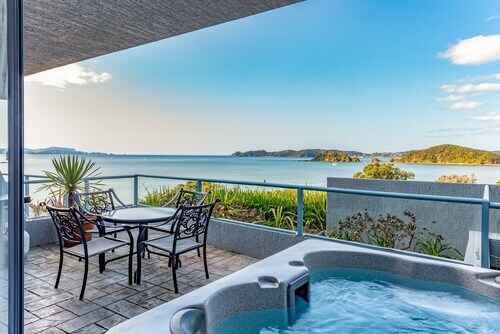 Located in Paihia, this beachfront apartment building is in the city center, 0.1 mi (0.2 km) from Paihia Wharf, and 1.5 mi (2.4 km) from Waitangi Treaty Grounds. Paihia Beach and Russell Beach are also within 3 mi (5 km). 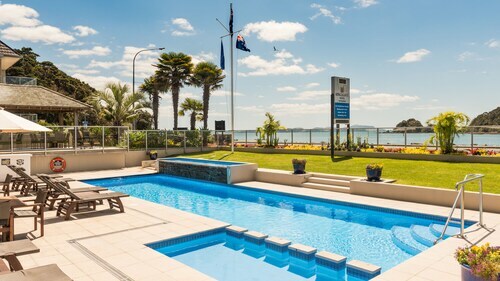 Situated on the waterfront, this apartment building is within 1 mi (2 km) of Paihia Wharf, Paihia Beach, and Waitangi Treaty Grounds. 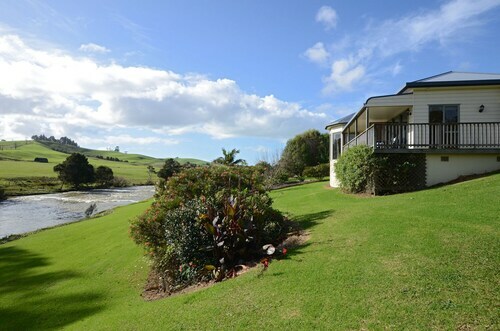 Situated on a river, this luxury bed & breakfast is 1.9 mi (3 km) from Haruru Falls and within 6 mi (10 km) of Waitangi Treaty Grounds and Paihia Wharf. Paihia Beach and Waitangi Mountain Bike Park are also within 6 mi (10 km). Paihia is known as "The Jewel of the Bay of Islands", so our Paihia hotels are the perfect base for exploring some of those 144 islands. The golden sand beaches, especially Te Tii Bay, are definitely a big drawcard to Paihia. You can spend the morning sunbaking, the afternoon swimming or the early evening taking a romantic stroll along the shore. However, sailing, sea kayaking, snorkelling and swimming with dolphins are the most popular water activities around here. And if you're keen to do some diving and fishing, all you have to do is catch a boat from the wharf and you're on your way! Make sure you head to Cape Brett to take some photos of the "Hole in the Rock", which no doubt you will also pass through on your boat trip. Paihia View Point is another great spot for photographers and is the perfect place to admire the bay, after a half hour walk through the bush. Once you've taken the walk back to your car, wot about having a dip in the Haruru Falls to cool off? If you've got a heart for history and all things quaint, why not take a "Cream Trip"? On this trip, the boat will stop off at various islands, picking up dairy and following the exact same route it has since the 1920s. After this, take the 30 minute walk (or quick drive) from Paihia to the Waitangi National Trust Estate to see the "Birthplace of the Nation". This estate is the site where the national treaty was signed on February 6, 1840, joining New Zealand to the British Commonwealth. This day is now commemorated each year as New Zealand's national day. Music lovers will enjoy spending time here during May for the Paihia Country Music Festival and in August for the Bay of Islands Jazz Festival where you can enjoy the sounds of local and international artists. Auckland Airport is the nearest airport, about 250km away, so if you'd like to spend some time sightseeing in the city before heading to Paihia, these Auckland hotels will give you a place to rest your head. While you're in Paihia, a visit to Russell is well worth it, and it's only about an hour's drive away, or half an hour if you take the ferry. So wot are you waiting for? Grab one of these cheap flights to Auckland, book your Paihia accommodation with us and get ready to soak up the sunny atmosphere in the beautiful Bay of Islands. 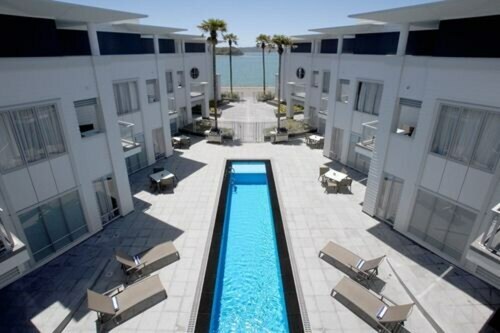 How Much is a Hotel Room in Paihia? 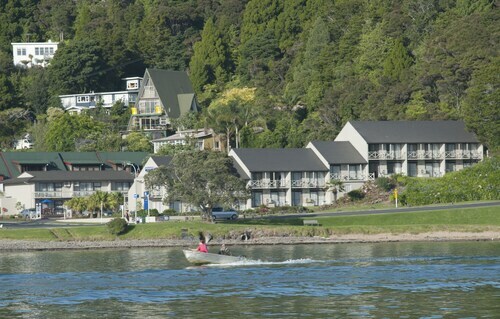 Hotels in Paihia start at NZ$70 per night. Prices and availability subject to change. Additional terms may apply. Good location to town. Great that they offered ear plugs.